If one thing's for sure, it's that leggings aren't going anywhere. We wear them to work out, while running errands, and for just about any other occasion that calls for comfort—making them a wardrobe essential. But with all of the leggings we've covered this year, there is only one style that truly stands out from the rest: stirrup leggings. 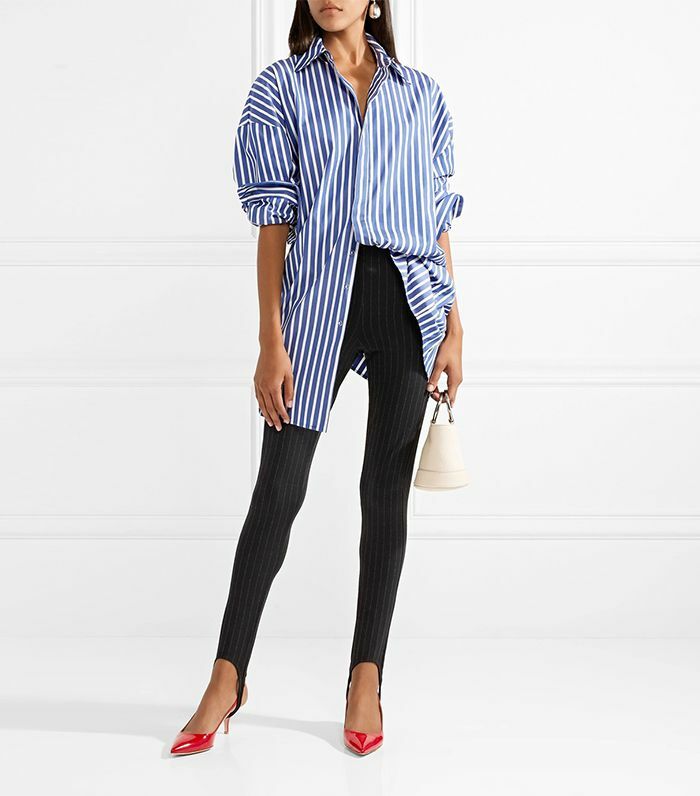 A fresh take on the '80s style, the wraparound detail at the bottom effortlessly elongates your legs. Plus, the styling options are pretty much endless. Pair them with your favorite sneakers and a bomber jacket for an athleisure look or place the stirrup underneath the bottom of your heels for a more elevated approach. From the gym to the street, this style is sure to become your new favorite well past the New Year. 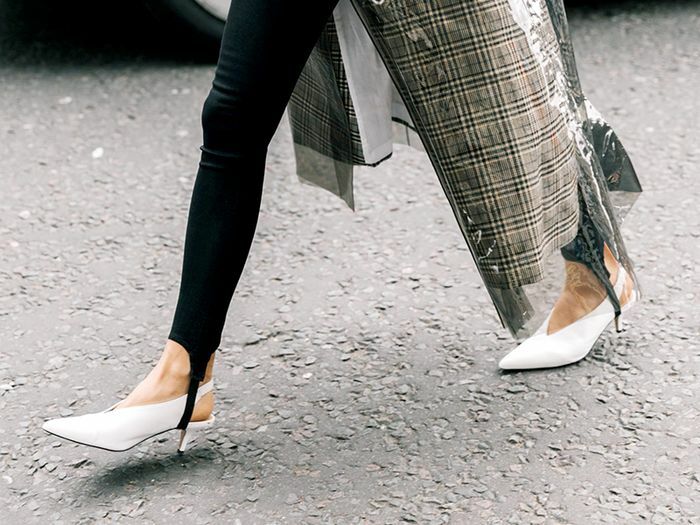 Click through the slideshow to shop our picks of the chicest stirrup leggings on the market. Tuck an oversize button-down into leggings and add heels for an office-ready look. Don't be afraid to loop the stirrup underneath your favorite pair of pumps. This pair of stirrup leggings can also be worn as trousers. Opt for this '80s-inspired pair. Complement black stirrup leggings with an oversize dark jacket. Wear bold heels for a pop of color. Wear this pair with a silk blouse and statement earrings. Available in sizes 36 IT to 48 IT. The power stripe on the side adds a touch of athleisure. Opt for this affordable pair. 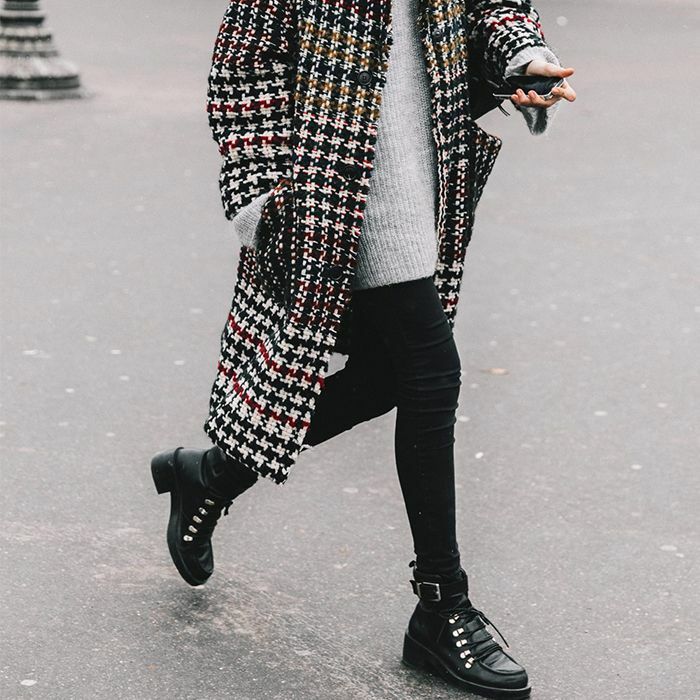 Copy this look by pairing cream pumps with a chunky plaid knit. Tuck a floral blouse into a chic pair of colored stirrup leggings. Wear these leggings with heels to dinner or with sneakers to the gym. Style these cream-colored stirrups with an oversize leather jacket and ankle booties. Try loose-fitting stirrup trousers for a relaxed look. Trouser stirrup pants are perfect for the office. Your next holiday party pants. This pair is classic and affordable. Opt for blackless loafers instead of heels. Next, see the boots Kaia Gerber loves to wear with leggings.